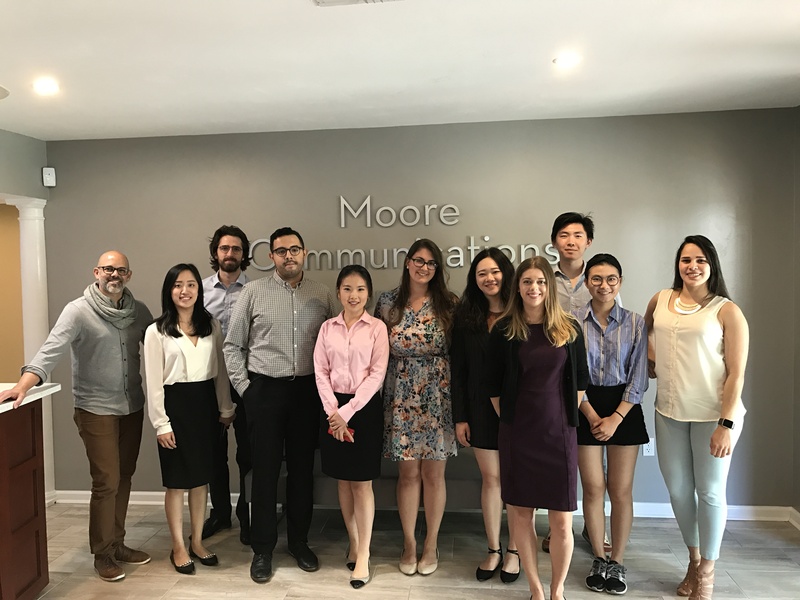 Graduate students from the Center for Hispanic Marketing Communication had the opportunity to visit Moore Communications Group last Friday to gain more knowledge on multicultural marketing and public relations, guided by Fernando Rodriguez, a Senior Director at the firm. 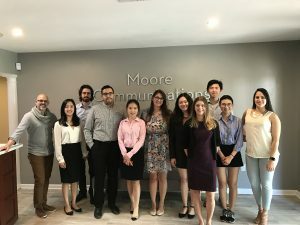 Tallahassee, Fla. — Enrollees of Florida State University’s (FSU) Multicultural Marketing Certificate and Multicultural Marketing Minor were allotted the opportunity to learn about PR and tour nationally ranked communications firm Moore Communications Group last Friday. Senior Director Fernando Rodriguez, who is an alumnus of FSU’s Integrated Marketing Communications (IMC) Master’s program and holds a Hispanic and Multicultural Marketing Certificate, facilitated the visit for the 11 undergraduate and graduate students on March 24. Rodriguez has over 20 years of knowledge in the industry — even racking up some nonprofit experience during his career. He has been working for Moore for almost six years. 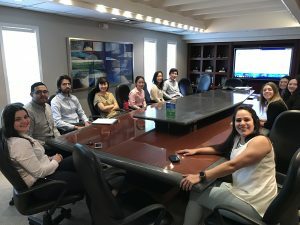 During the visit, students toured Moore’s facilities — also meeting various employees — were shown the firm’s extensive work in Hispanic Marketing for Lincoln and Ford, and were allocated time for questions. Moore Communications Group was founded in 1992 and employs 11 to 50 people, according to its LinkedIn page. The firm’s services include branding, advocacy, social media, Hispanic marketing, public relations, media relations, crisis communication, advocacy, event services, and advertising. The Center for Hispanic Marketing Communication will be arranging further visits to communications and advertising firms in coming semesters.